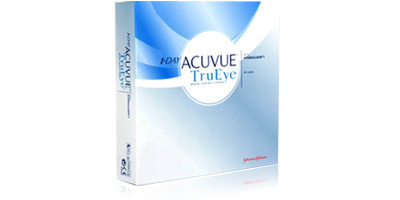 The 1 day Acuvue TruEye 90 pack offers you a no-maintenance, convenient way to have a clear and fresh vision throughout the day, regardless of today’s busy lifestyles. You will have your natural white bright eyes even at the very end of the day. This is truly a record-breaking innovation in the field of contact lenses. They really are the first of their kind. 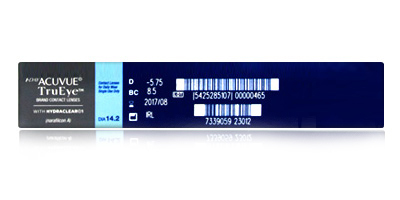 The special silicon hydrogel material Narafilcon A in the 1 day Acuvue TruEye 90 pack offers excellent oxygen permeability ensuring crisp white and clear vision. In addition to this, the HYDROCLEAR 1 technology keeps the lenses wet which and this helps the eyes stay moist. 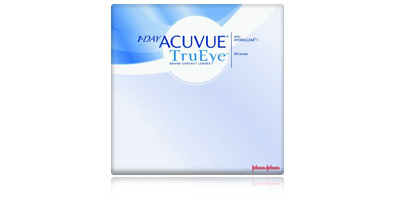 Whether for daily use or for occasional use, you will truly benefit from our 1 day Acuvue TruEye 90 pack contact lenses. 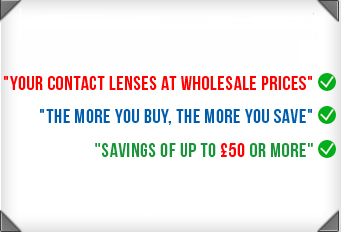 Our experienced opticians and well-trained customer service professionals are equipped to help you with your purchasing process. Face the everyday challenges of this modern world, boldly and clearly, using 1 day Acuvue TruEye 90 pack contact lenses.